Preview images for Jane the Virgin "Chapter Seventy-One"
FEELING YOUNG — Jane (Gina Rodriguez) is excited for her first book tour and brings Xo (Andrea Navedo) along for fun, but Alba (Ivonne Coll) decides last minute that she is going as well. Things take an unexpected turn at their first stop which makes all three ponder what they should do. Rafael (Justin Baldoni) and Rogelio’s (Jaime Camil) attempts to take care of Mateo while Jane is away hits a bump, but ultimately might have made things better between them. Meanwhile, Petra (Yael Grobglas) thinks she has finally gotten a handle on the hotel, until a new problem arises. Micah Schraft directed the episode written by Valentina Garza & Deidre Shaw (#407). Original airdate 12/08/2017. 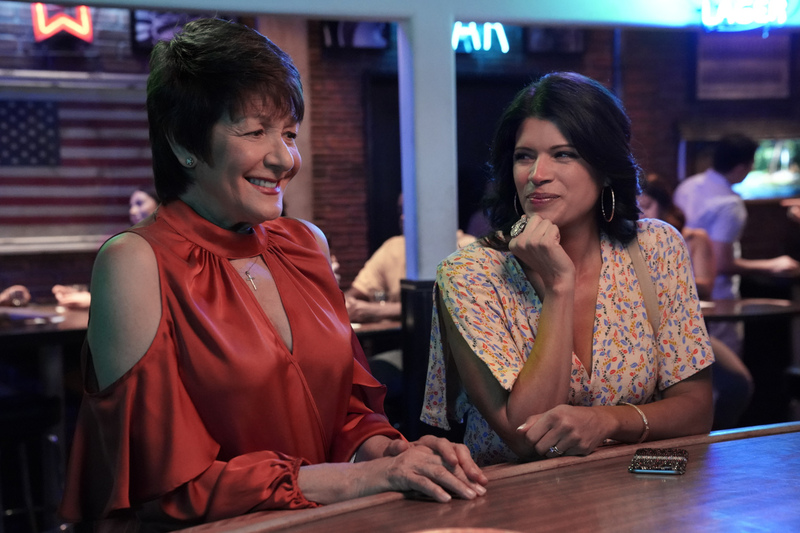 Jane The Virgin -- "Chapter Seventy-One" -- Image Number: JAV407a_0019.jpg -- Pictured (L-R): Ivonne Coll as Alba and Andrea Navedo as Xo -- Photo: Michael Desmond/The CW -- ÃÂ© 2017 The CW Network, LLC. All Rights Reserved.